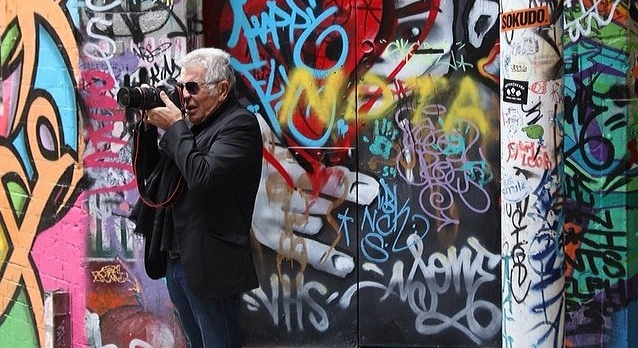 According to a newly-filed lawsuit, Roberto Cavalli S.p.A. has angered a group of Northern California-based graffiti artists, who have sued the fashion house for allegedly copying their work and incorporating it into the brand's "Graffiti" collection. Jason Williams, Victor Chapa, and Jeffrey Rubin (who actually go by Revok, Reyes and Steel, respectively) filed suit in the Central District of California court, claiming that Roberto Cavalli infringed their copyrights and violated the Lanham Act, stemming from a work they completed in San Francisco's Mission district in 2012. Their complaint states that in March, "Just Cavalli introduced a clothing and accessories collection in which every square inch of every piece (including clothing, bags, backpacks, and shoes) was adorned with graffiti art." The court documents go on to note: "If this literal misappropriation was not bad enough, Cavalli sometimes chose to do its own painting over that of the artists — superimposing the Just Cavalli name in spray-paint style as if were part of the original work. Sometimes, Cavalli added what appears to be a signature, creating the false impression that Roberto Cavalli himself was the artist."